After an epic start to the first quarter, the second quarter started with a whimper. Stocks pulled back Monday following an underwhelming report on U.S. manufacturing. The Dow Jones Industrial Average closed down slightly, while the S&P 500 and the Nasdaq lost between 0.5% and 0.9%. Still, investors said this mild sell-off wasn't necessarily representative of broader pessimism about stocks or the economy. Several traders said it didn't take much to move the needle Monday, as volumes were extremely light following the holiday weekend. "So many people are still out today that stocks are getting pushed around with very little buying or selling," said Sam Ginzburg, head of trading at First NY Securities. All three indexes are still up between 7% and 11% for the year. The Institute for Supply Management's monthly manufacturing index for March came in at 51.3. That was lower than estimates of 54.0 and also below its February reading. Meanwhile, data on construction spending from the Census Bureau came in above expectations. U.S. stocks wrapped up a stellar first quarter Thursday, with the S&P 500 finally joining the Dow in hitting a new high. U.S. markets were closed on Good Friday. Traders didn't have too much in the way of new developments to focus on Monday. China released data Monday that indicated an acceleration in manufacturing activity. Separately, Beijing and Shanghai announced new measures designed to cool housing prices. Asian markets closed lower. The Nikkei dropped 2.1% while the Shanghai Composite declined 0.1%. Markets in London, Frankfurt, Paris and Hong Kong were closed Monday for an extended Easter holiday. 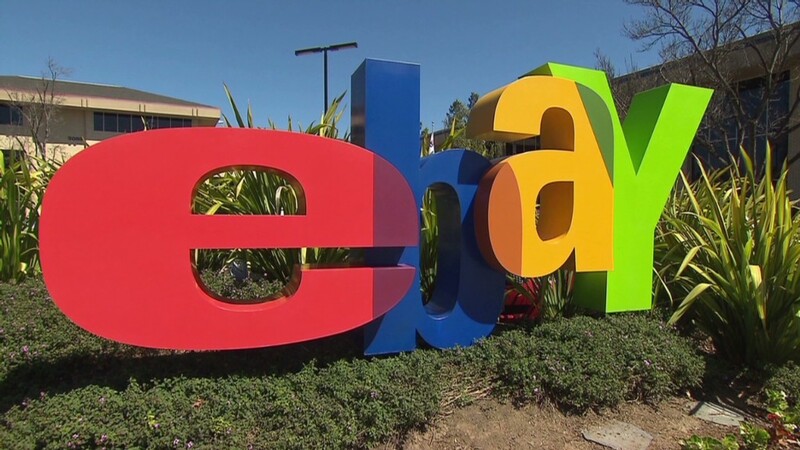 What's moving: Tesla Motors (TSLA) jumped 16%, after the electric car maker said it expects to achieve its first-ever quarterly profit based on strong sales of its all-electric Model S.
Shares of eBay (EBAY) rose nearly 3% after analysts raised price targets on the online retailer. Apple (AAPL) dropped, continuing a slide for the once-hot stock this year. Meanwhile, shares of Blackberry (BBRY) jumped 5% as investors continued to bet that fortunes were turning around for the smartphone maker . Shares of the major health insurers, including Aetna (AET), Humana (HUM), and Health Net (HNT), popped in the final minutes of trading on anticipation of a report that the federal government would approve a plan to increase rates paid to insurers under Medicare Advantage. The government had originally planned to cut rates next year. Aetna, Humana and UnitedHealth (UNH) all moved even higher in after hours trading. The dollar gained ground against the euro and British pound but fell against the Japanese yen. Oil prices fell, while gold prices edged slightly higher. 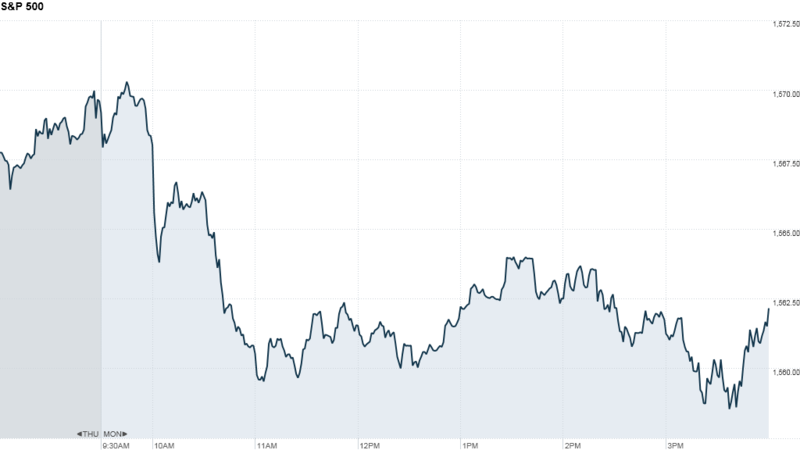 The price on the 10-year Treasury rose slightly, pushing the yield down to 1.84% from 1.85%.